Church of Scientology in Russia faces expert evaluation, closure | Russian Legal Information Agency (RAPSI). MOSCOW, December 15 (RAPSI) - Church of Scientology will be scrutinized by religion experts after the Russian Justice Ministry refused to register the statute of the Church of Scientology in Moscow, RAPSI learnt in Moscow's Izmailovsky District Court on Monday. The Justice Ministry found that the statute did not comply with the federal law on freedom of faith. It also indicated that “scientology” is registered as a trademark and is owned by the Religious Technology Center in the US. The ministry therefore filed a motion with the Moscow City Court seeking to ban the Moscow branch of the church. The hearings at the Moscow City Court will resume after the issue about the statute is considered by the Izmailovsky Court. Dianetics and Scientology is a religious and philosophic movement established in the US in the early 1950s by L. Ron Hubbard. 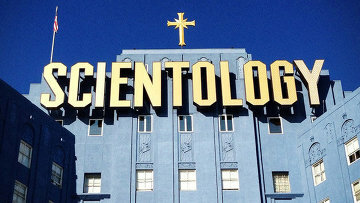 A resolution passed in 1996 by the lower house of parliament, or the State Duma, classified the Church of Scientology as a destructive religious organization. The Moscow Regional Court ruled that some of Hubbard’s books be included on the Federal List of Extremist Literature and banned from distribution in Russia. 17:49 15/12/2014 Church of Scientology will be scrutinized by religion experts after the Russian Justice Ministry refused to register the statute of the Church of Scientology in Moscow.